How Do You Know When A Settlement Is Fair? If you have been injured, whether it was in a car accident, or you had a slip and fall in some public space, such as shopping mall, or an auto repair garage, you may want to seek financial compensation for your injury. You have the legal grounds to do this if the injury you received was through no fault of your own, but the inattentiveness, carelessness or negligence of someone else. 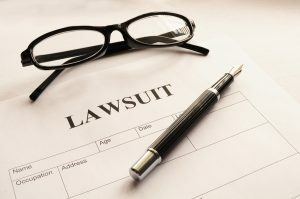 Sometimes, however, especially when it is a case where it is clear that a lawsuit taken to court would be a clear cut win for you, an alternative appears. You may immediately receive an offer for a settlement which would be quicker, easier, and let everyone get on with their lives. But what exactly would constitute a fair offer for an out of court settlement? 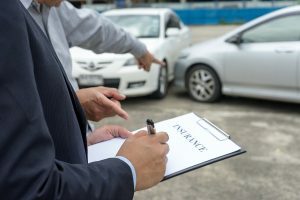 Usually when people talk about consulting an accident lawyer, or personal injury lawyer to enact a lawsuit against someone the foremost thought is about justice. If you or someone you know has been injured in an accident that was no fault of your own, your immediate thought is going to be making things right, and ensuring that the people responsible are held accountable for their actions with the financial damages acquired in a lawsuit. But there’s one thing that people need to understand about lawsuits, and this is one of the reasons why sometimes an out of court settlement is ideal. The vast majority of the time, a lawsuit is a matter of public record. For some people, this will not be an issue, especially if it’s a typical accident, such as slipping and falling in a public space due to the negligence of the cleaning staff. 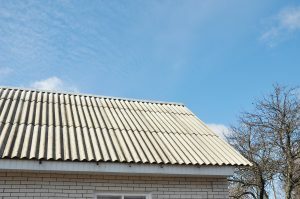 There’s little “on the line” in the way of a public reputation, or additional “fallout” after the case been conducted. 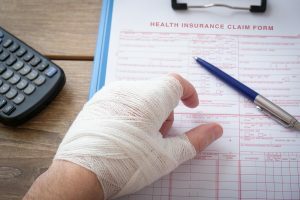 People who get injured, whether it is through a car accident, or a mishap at work that may require workers compensation, usually have a common problem. As an average, hard-working American that’s looking to live a life with honesty and decency, there’s a good likelihood that some kind of profession and career are already in place. It could be just starting out with a part-time job at a retail store, or it could be a very well established profession, such as something in construction, or even running a business. But if you sustain an injury, all of that grinds to a halt. 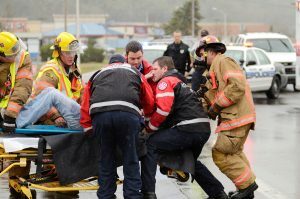 Depending on the type of injury received, there may be hospitalization, recovery, and eventually returning to a job. Or, if an injury is permanent, resulting in some new, crippling debilitation, it may no longer be possible to return to a former job at all. 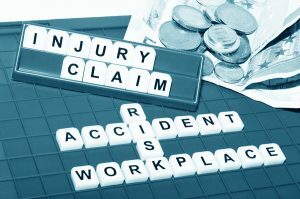 In a personal injury or workers compensation lawsuit, one of the factors when it comes to suing for financial damages is known as lost wages. This comes in two different varieties, but how is a final determination made? This isn’t the type of case that we’ll ever to worry about here in Florida, but the circumstances behind it make it an excellent example of how negligence with motorized vehicles can occur in the most unexpected ways. 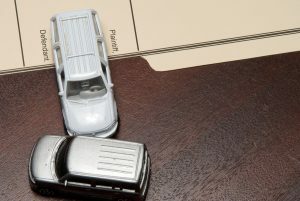 Can you be sued for personal injury with a vehicle if you’re not even in the vehicle? One man in Canada found a way! It’s generally understood by most Floridians that Canada can be incredibly cold during the winter, and become a literal “winter wonderland” when the season arrives. It’s one of the reasons why so many Canadians and Americans from New England buy winter residences in Florida and become “snowbirds” that live here during the less hospitable parts of the year. 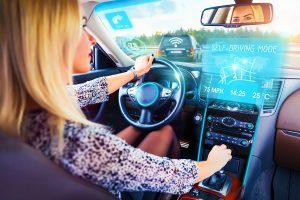 TV ads are already proclaiming that the future is here thanks to self-driving cars, and they are becoming more common as numerous automakers begin releasing their own versions. 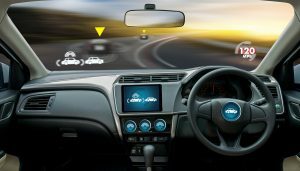 Some are designed to be driving entirely by the technology, while others may just have 'driver assist' functions that help with parking or that steer while you cruise on the freeway. But a recent accident shows that they're not foolproof - and brings up interesting questions on fault. The accident involved a self-driving Uber SUV in Tempe, Arizona. The vehicle stuck 49-year-old Elaine Herzberg as she crossed the street, killing her in the process. At the time of the accident a driver was actually in the SUV, but the vehicle was in its autonomous mode. With this mode active, the vehicle drives itself entirely, but since the vehicle was undergoing a testing process there was a driver behind the wheel as a safeguard. 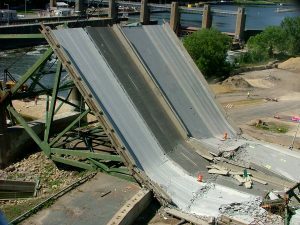 Over the last several decades, personal injury cases have largely depended upon one key thing - showing just who is responsible for the accidents that lead to injuries. 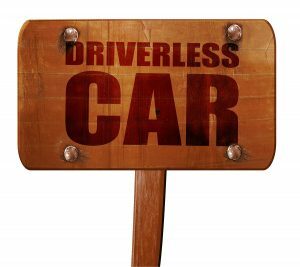 But technology is gradually beginning to change this, and one of the biggest ways that it's doing so is in the world of self-driving cars. 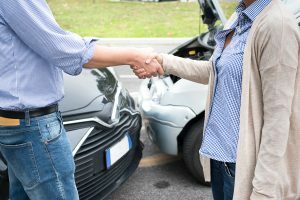 As these vehicles become more and more common, those injured in accidents involving them as well as those lawyers representing the injured parties will have to face new challenges when seeking compensation. Self driving cars are catching on in a big way around the nation. Auto makers from Tesla to GM are utilizing the new self-driving technology, and it goes well beyond just being able to push a button and let the car parallel park itself. Today's cars can drive entirely on their own, and it's expected that this is a trend that's only going to continue growing. On March 18, 2018, the United States finally experienced the first casualty of a car accident at the hands of a self-driving car. It happened, in Tempe, Arizona, to Elaine Herzberg, age 49 who was crossing the street sometime after 10 pm. She was not using a designated crosswalk, and was struck by a self-driving car owned and being tested by Uber, the ride-sharing service that operates in many major cities around the world. Self-driving cars are currently being tested in many parts of the United States by many different groups, including, right here in Florida, with the US military testing self-driving truck convoys. In addition, cars with some self-driving functions are already available on the market, and are currently being used by the public. Florida, in fact, has already experienced the first accident where a driver has died while in a self-driving vehicle. When you're involved in an accident of any kind, it can make it difficult to go on with your life as normal. Not only can the physical injuries take significant time to heal from, but your financial health can also be impacted in a huge way. Filing a personal injury claim is one of the best ways to start getting yourself back onto solid financial footing, but it's easy to make simple mistakes that could lead to you getting less when your settlement is determined. With that in mind, it's well worth keeping a few basic things in mind before and during the process of seeking compensation. The right steps can help you get the most from your personal injury lawsuit. Here are some of the main things that you'll want to remember to ensure that you get what you're really owed. • Refusal - Some may try to tell you that you have no right to compensation at all since you have some fault in the accident. In reality, you could still get compensation from your case even if you are partially to blame. • Confusion - It's also common for the other side to try to offer you lowball settlement offers and tell you that they're fair. It's not easy to compute the proper amount of a settlement if you have no idea what you're doing, and the other side knows this. They could offer you far less than you deserve. Florida has the third highest population in the country, and is one of the most frequently visited states as well. 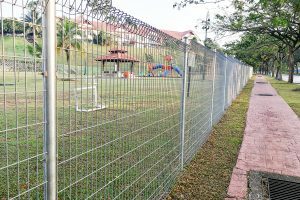 Plus, it has a reputation for being a 'party destination', and the numerous bars, nightclubs, and events taking place here only help to fuel that image. There's nothing wrong with having a good time, of course, but the problem is that many people can't drink responsibly. There are around 11,000 drunk driving accident injuries every single year, and many of them can be incredibly severe. 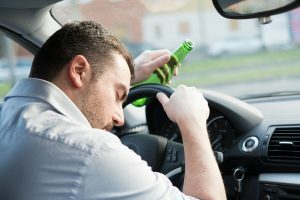 If you're injured in an accident caused by a drunk driver, it shouldn't be your burden to deal with the heavy financial costs that the accident can cause. Seeking compensation through a personal injury lawsuit is one of the best ways to ensure you get a fair settlement from your injuries - and that you can make a full recovery. Of course, knowing more about what to expect can help you move through the process with more confidence. Dog bites happen more often than one might think. For instance, in 2013, approximately 880,000 people had to seek medical attention for the incidents. The sharp teeth can lacerate skin, tear ligaments, and cause the victim a substantial amount of pain. Additionally, canines can pass along the rabies virus to humans, so it is possible for different types of symptoms to present themselves further down the line. All it takes is an instant for even the friendliest pet to lunge out and attack. This action could be the result of them being scared or feeling as if their owner is in harm's way. 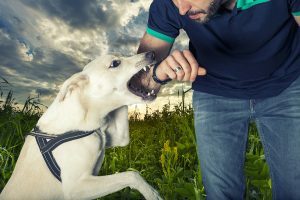 Regardless of why dog bites happen, they are never okay, and the owners are almost always liable for pet attacks. The time of year has come once again where people from everywhere start flocking to the Florida coast. While many parts of the United States are still dealing with winter weather, southwest Florida residents are enjoying sunny skies and warm temperatures. The ocean is ideal for water or jet skiing, swimming, and spending time with the family. Additionally, the coastal area allows for some of the best fishing around, so amateur and professional anglers alike are regularly in abundance. However, with so many folks accumulating in one place, and new crafts continually hitting the water, boating accidents will likely occur. Boating accidents are equally as dangerous as car crashes and other incidents. If two vessels collide, one or more of the drivers and passengers can become thrown into the water. Once in the liquid, these individuals are vulnerable to getting struck by another boat, hypothermia, and possibly even drowning. Of course, there are also things like sharks, jellyfish, and contaminated water that they have to worry about as well. One of the most enduring and popular pets for not just America, but the entire world, is the dog. Few animals provide the same combination of intelligence, love and loyalty that our canine friends can bring into our lives. But there’s no such thing as a perfect animal, any more than there is a perfect person. A combination of circumstance, poor control, or poor training can sometimes result in unfortunate encounters between people and dogs. 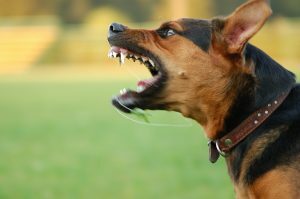 That’s one of the reasons why Florida, like every other state in the country, has laws in place to address the unfortunate occasions when a dog acts out in an aggressive manner and bites another person.